GermanMind Ltd | German Language School in Dublin. 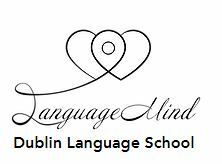 Discover a diverse range of courses at GermanMind Ltd & LanguageMind in Dublin 2. We are located in the heart of Dublin 2 on Fitzwilliam Street Upper, and we are one of Dublin’s most successful private language school for German, Spanish and Irish. We ❤ teaching. All teachers and tutors are certified and experienced native teachers, and we have managed to help our students excel in their target language. We offer private classes as well as group courses for all levels. Our motto is: “Small classes – BIG PROGRESS”; because our group courses have 8 students max., our Intensive Group courses only have 6 students.